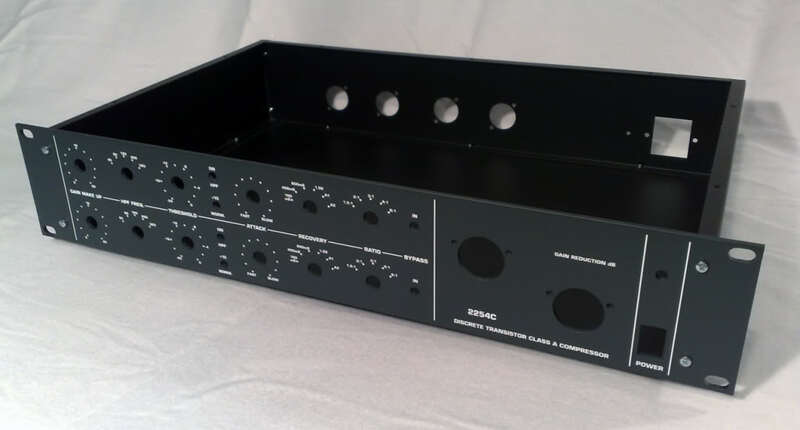 Front panels and cases by DDT for the DIY 2254c compressor project, based on the Neve 2254. Both 1RU and 2RU cases and panels are available for either mono or stereo projects. More info and products available from DDTs White Market thread. Added by Peterson Goodwyn on January 20, 2011 and last modified by Peterson Goodwyn on July 22, 2011.